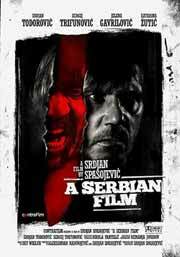 Melbourne Underground Film Festival director Richard Wolstencroft has announced on Facebook that filmmaker Srdjan Spasojevic’s controversial A Serbian Film will be opening the 12th annual MUFF. No dates for the fest have been set yet, but it should run sometime in late August. Wolstencroft has also announced the theme of this year’s festival: Destroy All Movies!